Dr. Zhang began his academic career at Tongji University (Shanghai, China) in 1987. After his doctoral and postdoctoral trainings, he resumed his research career at Northwestern University in Illinois. 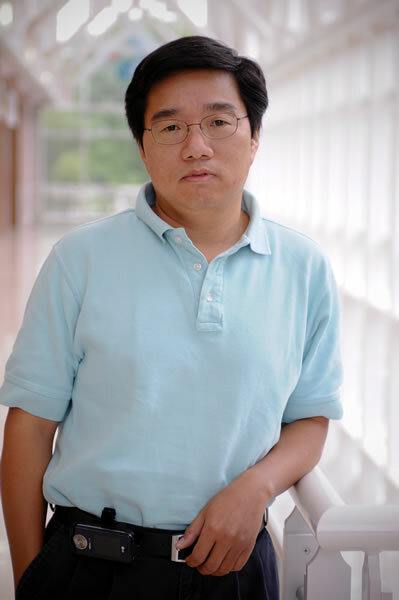 Before joining Clemson University in fall of 2008, Dr. Zhang was an Associate Professor at the University of Georgia where he pioneered a bio-micro/nanotechnology program. Dr. Zhang has served as major professor to six doctoral students and two master students. All of his doctoral graduates are pursuing research careers in academia (e.g., Stanford, UIUC) and in industries (e.g., IBM, COMSOL). He also served on graduate advisory committees for another three doctoral students and two master students. He has mentored three postdoctoral fellows and numerous undergraduate students. He serves on the editorial board of the Journal of Biological Engineering and is an education editor for the Biomaterials Forum. Dr. Zhang has served as PI on several NIH and NSF grants and participated in the NIH study sessions and NSF review panels numerous times in the areas of biotechnology and nanotechnology covering topics such as chip based sensors, sensors and detectors for environmental monitoring, nanoscale drug delivery, and MEMS and NEMS devices. We develop novel integrated micro and nano structures and use them as electrodes in electron-transfer devices such as biosensors, fuel cells, and bioconversion systems. We study, via experimental and computational means, the electrochemical processes (e.g., electrode reactions, corrosion, mass transport and the effect of electrical double layer) of nanostructure electrodes (single and interdigitated electrodes). We develop new methods, tools and devices for the construction of tissue constructs and biomaterials and the evaluation of their nonlinear and viscoelastic mechanical properties. We use the integrated micro/nano structures as substrates to provide a platform to interface biological cells and tissues with an engineering world. We develop finite-element based computer models to perform multidiscipline and multiscale simulation of the complex phenomena including the electrical, mechanical, material, magnetic, thermal, electrochemical, biochemical, and biological ones encountered in many biomedical devices, biosensors and other systems. As Deputy Director of the IBIOE – an interdisciplinary research institute focused on cellular engineering for biomedicine and the development of diagnostic tissue test systems for the improvement of health care, Dr. Zhang oversees an array of research and industrial initiatives.